The Main Street Arts Festival is back with street performances, a variety of art and music! Every Spring downtown Fort Worth fills up with North Texans looking for outdoor free fun. Browse the many pieces of Main Street and enjoy some food and beverage vendors with the Main Street coupons which can be purchased at booths throughout the area. 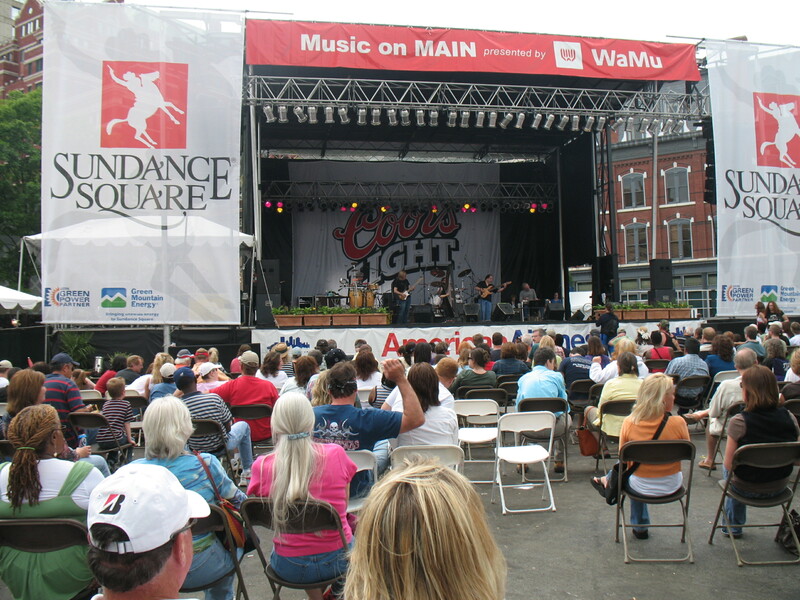 Admission to the 2012 Main Street Arts Festival is Free! Start your weekend on Thursday and head to Sundance Square for great artistic energy that Fort Worth has to offer. 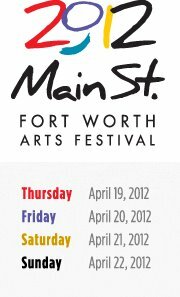 The dates for Main Street Art Festival are April 19-22. When considering available Parking for the festival check HERE for street closures before you leave the house. Other transportation options include riding your bike (free parking for cyclists at Biek Corral at 4th and Houston St), Park and Ride Bus service from Billy Bobs, or the TRE. Again, be sure to plan ahead because there will be streets closed off downtown. Explore a wide variety of diverse art in all just about all forms (i.e. ceramics, graphics, print, paint, photography, metalwork.). Artists close down at 8:00pm every night Thursday through Saturday, and at 6:00pm on Sunday. There will be two whole blocks of kids creative and interactive artistic activities for all ages. There will be three stages along downtown Fort Worth streets featuring some of the best entertainment from the local community and around the country as well. Get out of the house this Spring and head to lively downtown Fort Worth for one of the city’s largest music festivals held April 19 – 22. You have four days to choose form and it’s FREE to attend. Experience the vibrancy of Funk Town at the largest festival in the Southwest. *Coupons at the Festival are $10 for a book of 10 and $1.00 per coupon.